Mandrake root and scorpion tail; spongy mushroom and warty toad - these are the foundations of the alchemist's livelihood, science, and art. But what arcane secrets do these strange ingredients hide? Now it is time to find out. Mix them into potions and drink them to determine their effects - or play it safe and test the concoction on a helpful assistant! Gain riches selling potions to wandering adventurers and invest these riches in powerful artifacts. As your knowledge grows, so will your reputation, as you publish your theories for all to see. 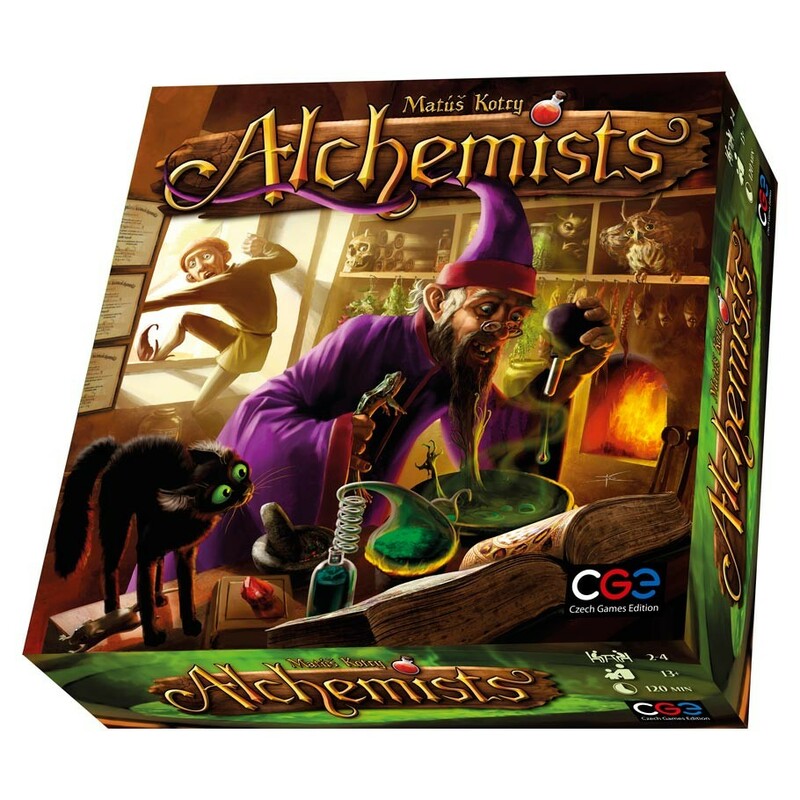 Knowledge, wealth, and fame can all be found in the murky depths of the alchemist's cauldron.